Cranbrook, BC (August 29, 2018) -- The purchase of the former Tembec lands by the City of Cranbrook will bring strategic opportunities to the City’s sustainability. One of the biggest hurdles for attracting new industry and jobs to the City has been the availability of Industrial zoned land. The Tembec land purchase has been an important goal for Mayor Lee Pratt, one that he has been spearheading for over 2 years and is proud to see it come to fruition. The ongoing cooperation and assistance of Marcus Moeltner of Tembec and Tembec/Rayonier has been fundamental for the final transactions regarding the acquisition of these lands. 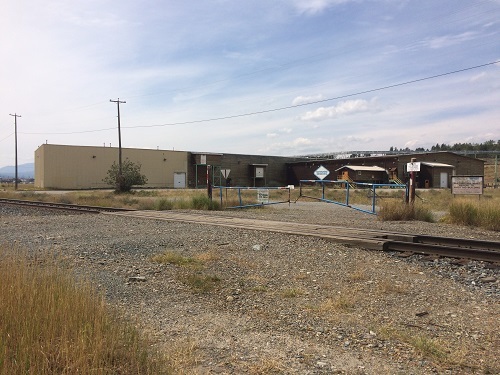 This purchase adds approximately 100 acres of properly zoned land supply to the City and provides a very positive step in the Economic Development Strategy of the City as well as our transportation hub strategy and vision for the City’s future. The City projects this will help in attracting new diverse industry and much needed jobs for our citizens. Mayor Lee Pratt says he is already in discussion with six interested parties that are suited for the lands and will have an announcement soon on at least one of these opportunities. Mayor Pratt would also like to thank the rest of City Council for their support and foresight regarding the Strategic Plan and long term vision for the future of Cranbrook. Chief Administrative Officer David Kim’s expertise and experience in these type of developments will also be a huge benefit to the success of this project. This is a strategic move for the citizens of Cranbrook and will bring many benefits to the business community, and sustainable economy and growth of the City. Mayor Pratt and the Council members are confident the citizens will all be pleased with the future development and outcome of this project.